You are currently browsing the tag archive for the ‘Change Management’ tag. A PLM identity crisis ? Did I choose the wrong job? Busy times still and the past 15 years I have focused on PLM and every year I had the feeling there was progress in the understanding and acceptance for PLM. Although the definition of PLM is a moving target, there are probably thousands of PLM experts around the world. From my recent blog posts, the past two years you might share my opinion that PLM is changing from an engineering, document-centric system towards a beyond PLM approach where a data-driven, federated platform leads to (yet unknown) benefits. So where to draw the border of PLM? Is there a possibility that somewhere a disruptive approach will redefine PLM again? PLM is considered complex (I don´t think so). The complexity lies first of all in the rigidness of PLM systems not being able to excite people. Next the desires from implementers to provide services to satisfy users and, as a result, make it more complicated. 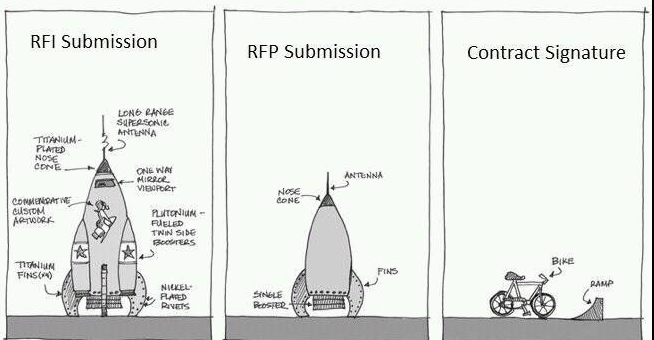 Finally and the most important reason the lack of understanding that implementing PLM requires a business change. Change (don´t mention the word), which does not happen overnight. Change is hard. We should re-think the way we implement PLM and exclude process alignment from PLM implementation. Stop changing people and stop forcing people to take complicated decisions during PLM sales process. Future PLM products will become a foundation for agile change management that will be done by companies. PLM has an identity crisis. Talking PLM at a random networking event tends to engender one of two reactions. The first is from anyone who recognizes the acronym, spent 5 years consulting for company X, and begins a vigorous head-nod that instills fear their neck may unhinge in agreement. The other reaction is quite the opposite; you can almost sense a capillary dilation of the so-called blush response. Fluctuation of the pupil… Involuntary dilation of the iris… it’s the Voight-Kampff test for interest expiring at the mere utterance of the acronym. You don’t get this kind of reaction when you talk Cloud or Internet of Things, which while overused, tend to at least solicit questions and interest among the uninitiated. There’s public relations work to be done. Both Oleg and Edward believe that new technology is needed to overcome the old PLM implementation issues: a need for change, a need to break down the silos. The PLM International Research Foundation (PLM-IRF) initiative aims to establish a central mechanism to support global research into the most advanced future capabilities of PLM. This simple question highlights that fact that the PLM industry needs coherent view of the future. Without a clear sense of direction, PLM development is likely to fall far short of what it could be. I consider this as a mission impossible. In May this year I will be blogging for seven years about PLM and looking back to my early posts the world was different. 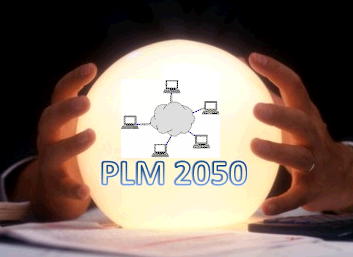 Interesting some of the predictions (PLM in 2050 – predictions done in 2008) I made in the past are still valid however for every right prediction there might be a wrong one too. And now this International Research Foundation is planning to define what PLM should offer in the future? So you can imagine the feeling I got: PLM has an identity crisis. Or do I have an identity crisis? I believe we are in a transition state where companies have to redefine their business. I described this change in my earlier post: From Linear to fast and circular. 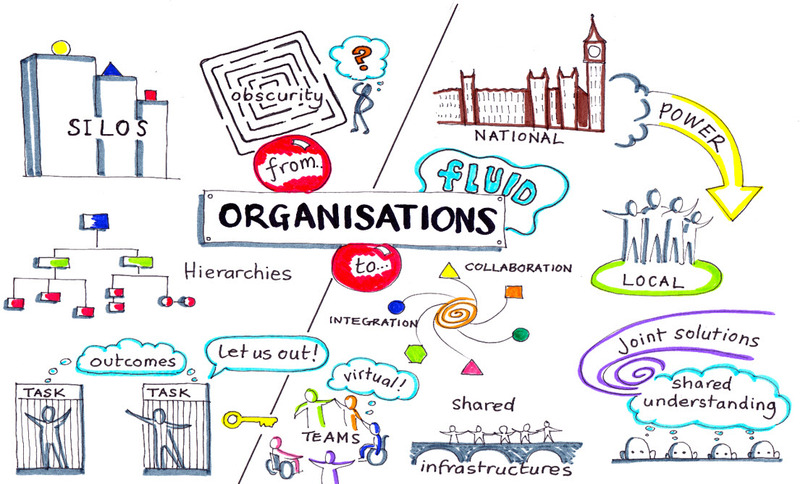 Implementing this approach first of all requires a redefinition of how organizations work. Hierarchical and siloed organizations need to transform towards flat, self-adapting structures in order to become more customer-centric and reactive to ever faster-changing market needs. For that reason, I was surprised by a presentation shared by Chris Armbruster that same week I read Oleg´s and Edward´s posts. In many ways, Chris and I come from the opposite sides of PLM. My background European, with a classical start from engineering, a focus on the mid-market. Chris according to his Slideshare info, US-based, Supply Chain Executive and focus on the Fortune 500. Have a look at Chris´s presentation – rethinking business for Exponential times. It is amazing that two persons not connected at all can come to the same conclusions. This should be an indication there is a single version of the truth! You might say PLM has an identity crisis. We do not need a better definition of PLM to solve this. 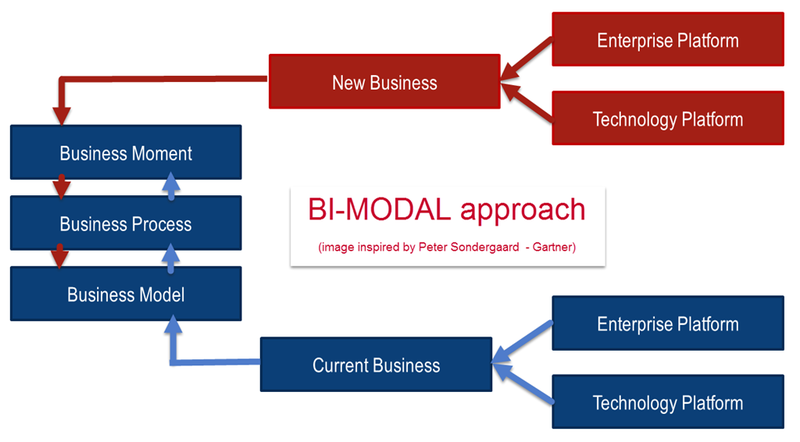 We need to change our business model and then define what we need. 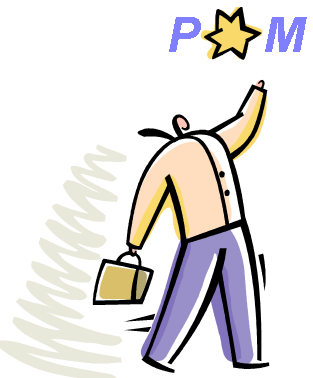 PLM, ERP, SLM, MES, SCM, ….. 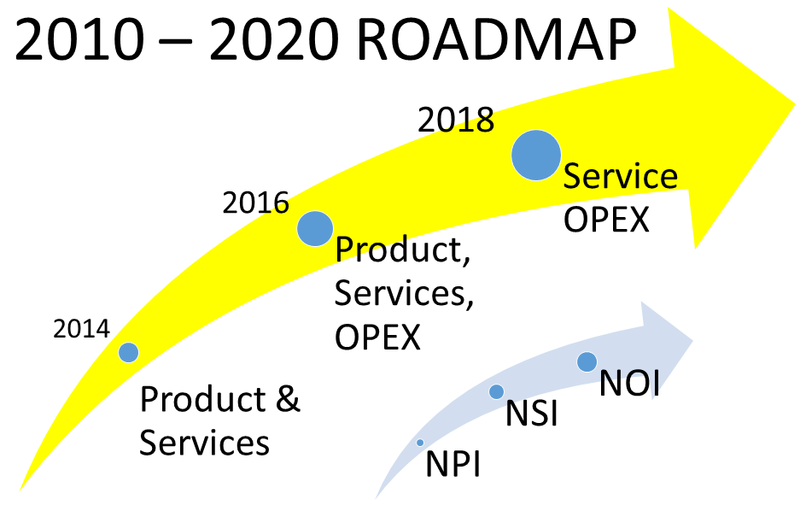 There are enough unused TLAs for the future. And I am still happy with my job. … and you ? Looking for a new job or changing too ? 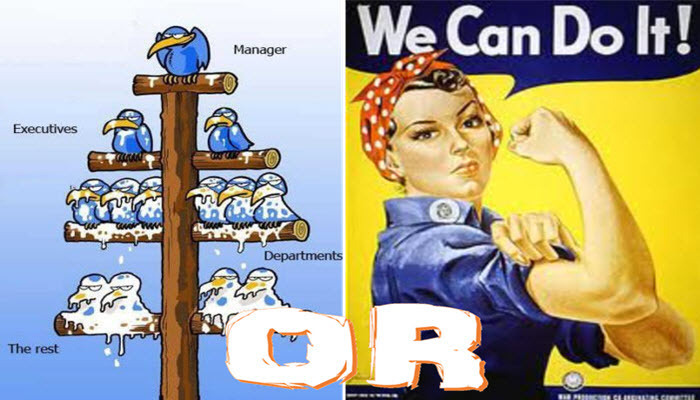 Change management is the toughest thing inside of PLM. It’s also the most important. For the rest, the post elaborated further into software capabilities and the value of having templates processes for various industry practices. I share that opinion when talking to companies that are starting to establish their processes. It is extremely rare that an existing company will change its processes towards more standard processes delivered by the PLM system when implementing a new system. The rule of thumb is People, Processes and Tools. This all is nicely explained by Stephen Porter in his latest blog post Beware the quick fix successful plm deployment strategies. As I was not able to attend the webinar, here are my more general thoughts related to change management and why it is essential for PLM. 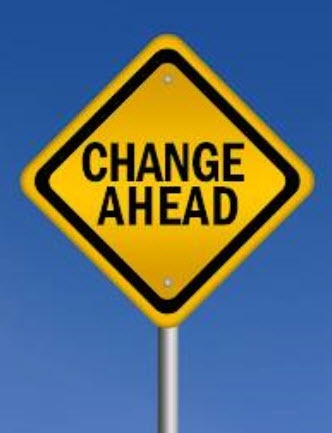 It is not that PLM has invented change management. Before companies started to use ERP and PDM systems, every company had to deal with managing changes. At that time, their business was mostly local and compared with today slow. “Time to market” was more a “Time to Region” issue. Engineering and Manufacturing were operating from the same location. Change management was a personal responsibility supported by (paper) documents and individuals. Only with the growing complexity of products, growing and global customer demands and increasing regulatory constraints it became impossible to manage change in an unstructured manner. I have worked with several companies where change management was a running Excel business. Running can be interpreted in two ways. The current operation could not stop and step back and look into an improvement cycle, and a lot of people were running to collect, check and validate information in order to make change estimates and make decisions based on the collected data. When a lot of people are running, it means your business is at risk. A lot of people means costs for data (re)search and handling are higher than the competition if this can be done automatically. Also in countries of low labor costs, a lot of people running becomes a threat at a certain moment. In addition, running people can make mistakes or provide insufficient information, which leads to the wrong decisions. Wrong decisions can be costly. 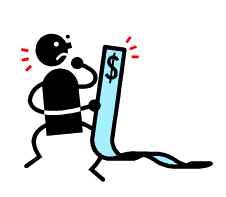 Your product may become too expensive; your project may delay significant as information was based on conflicting information between disciplines or suppliers. Additional iterations to fix these issues lead to a longer time to market. Late discoveries can lead to severe high costs. For certain, when the product has been released to the market the cost might be tremendous. From the other side if making changes becomes difficult because the data has to be collected from various sources through human intervention, organizations might try to avoid making changes. Somehow this is also an indirect death penalty. The future is for companies that are able to react quickly at any time and implement changes. The analogy is with a commercial aircraft and a fighter plane. Let’s take the Airbus 380 in mind and a modern fighter jet the Joint Strike Fighter (JSF). The Airbus 380 brings you comfortable from A to B as long as A and B are well prepared places to land. The flight is comfortable as the plane is extremely stable. It is a well planned trip with an aversion to change of the trajectory. The JSF airplane by definition is an unstable plane. It is only by its computer steering control that the plane behaves stable in the air. The built-in instability makes it possible to react as quickly as possible to unforeseen situations, preferable faster than the competition. This is a solution designed for change. Based on your business you all should admire the JSF concept and try to understand where it is needed in your organization. Why is change management integrated in PLM so important? If we consider where changes appear the most, it is evident in the early lifecycle of the product most of the changes occur. And as long as they are in the virtual world with uncommitted costs to the product they are relative cheap. To my surprise many engineering companies and engineering departments work only with change management outside their own environment. Historically because outside their environment connected to prototyping or production costs of change are the highest. And our existing ERP system has an Engineering Change process – so let’s use that. Here comes the value of change management in PLM. Change Management in PLM can be light weighted in the early design phases, providing checks on changes (baselines) and notifications to disciplines involved. 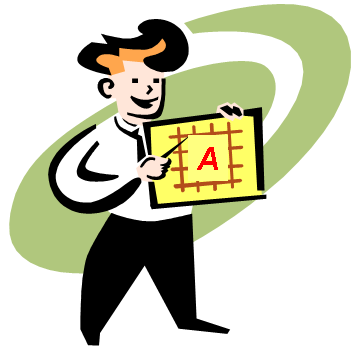 Approval processes are more agreements to changes to implement and their impact on all disciplines. As mentioned before, most manufacturing companies have implemented change management in ERP as the costs of change are the highest when the product capabilities are committed. However, the ERP system is not the place to explore and iterate for further improved solutions. The ERP system can be the trigger for a change process based on production issues. However the full implementation of the change requires a change in the product definition, the area where PLM is strong. NOTE: on purpose I am not mentioning a change in the engineering definition as in some cases the engineering definition might remain the same, but only the manufacturing process or materials need to be adapted. PLM supports iterations, not an ERP execution matter. Storing your data in a (PLM) system has only value if you are able to keep the actual status of the information and its context. Only then a person can make the right decisions immediately and with the right accuracy. 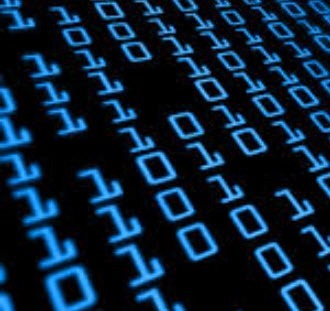 The more systems or manual data handling, the less completive your company will be. Integrated and lean change management means survival !